Research – What I learnt? 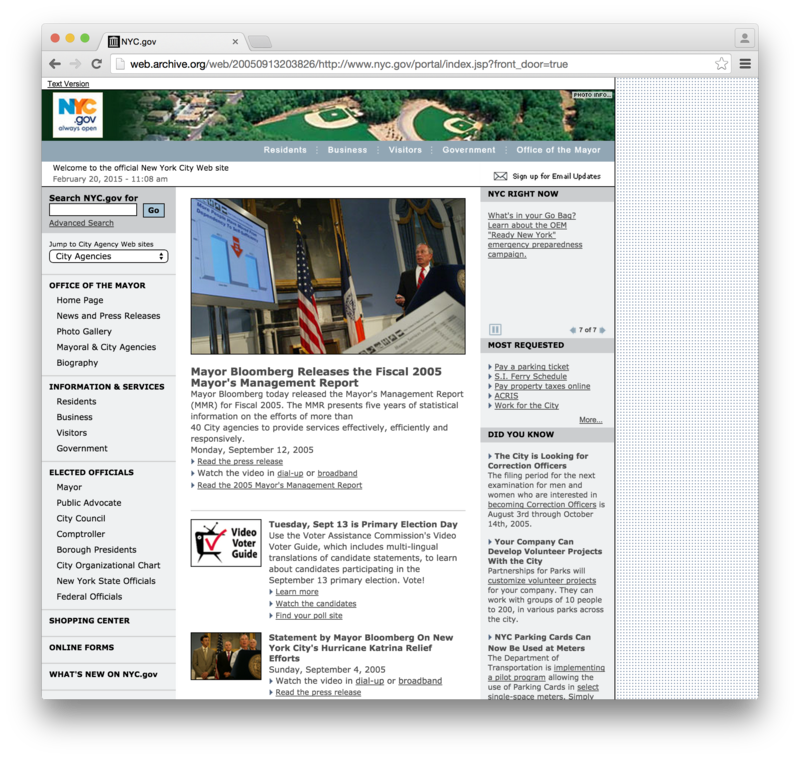 Using the Web archive, the initial appearance of the site was in 1998. 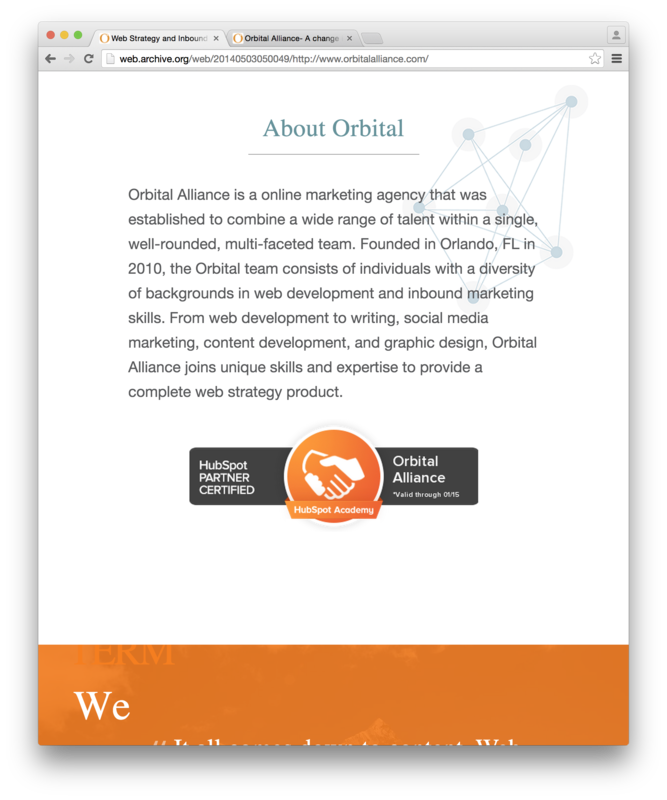 Strangely enough the page here features flat colour so doesn’t look that old fashioned, while the style wasn’t so bad, the format was awful, multiple text links on both sites of a square centred in the screen made up the navigation of the site. 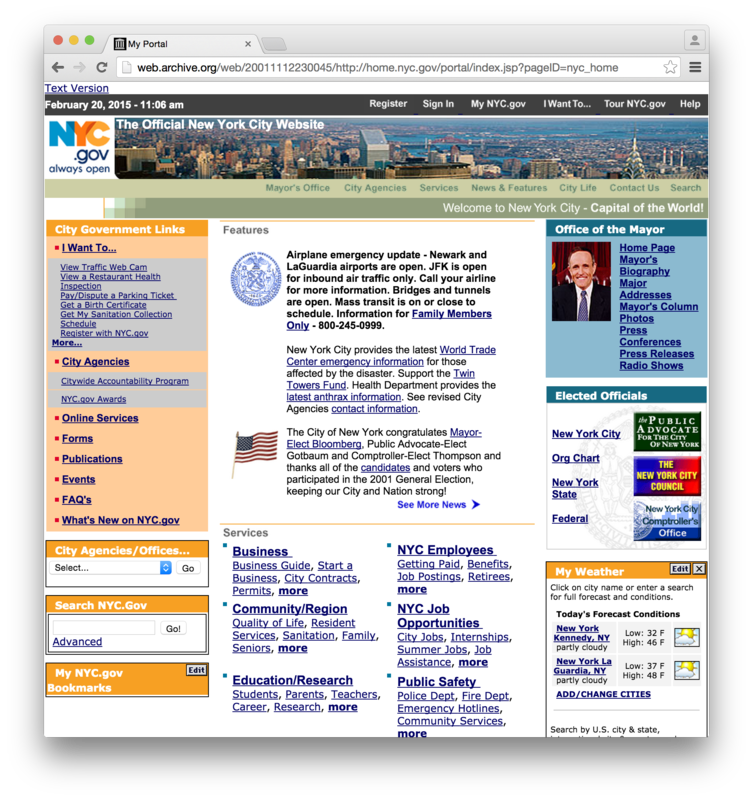 November 2001 sees the addition of an almost ‘responsive’ website where the lines of text adjust themselves to be the full width of the page. 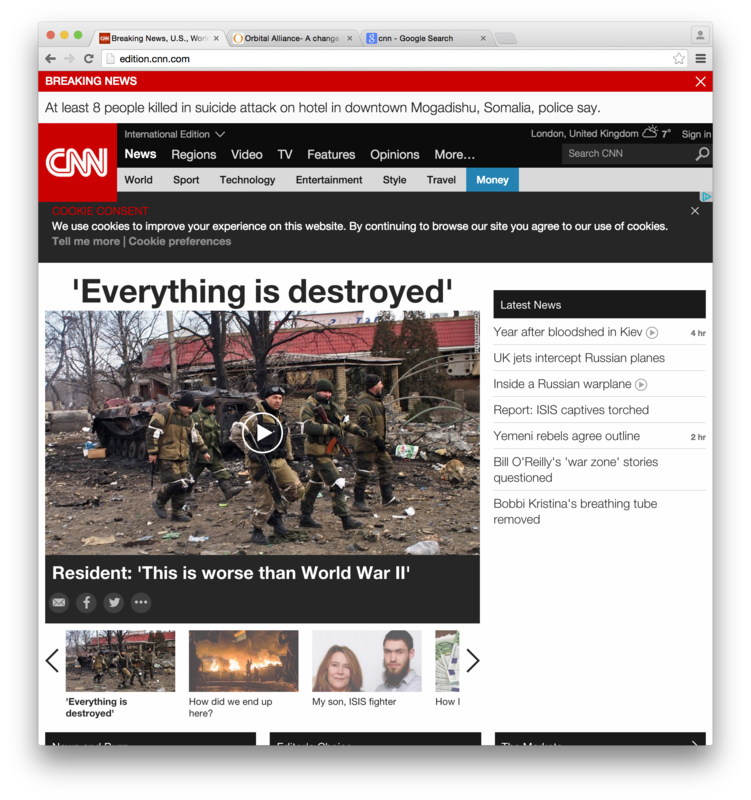 This is not responsive as we know it though as it stops working at 960 pixels wide, though this was probably fine at the the time there was only one standard screen size. December 2002 saw the removal of flat colour from within the pages, and the addition of third dimensional objects like physical buttons. 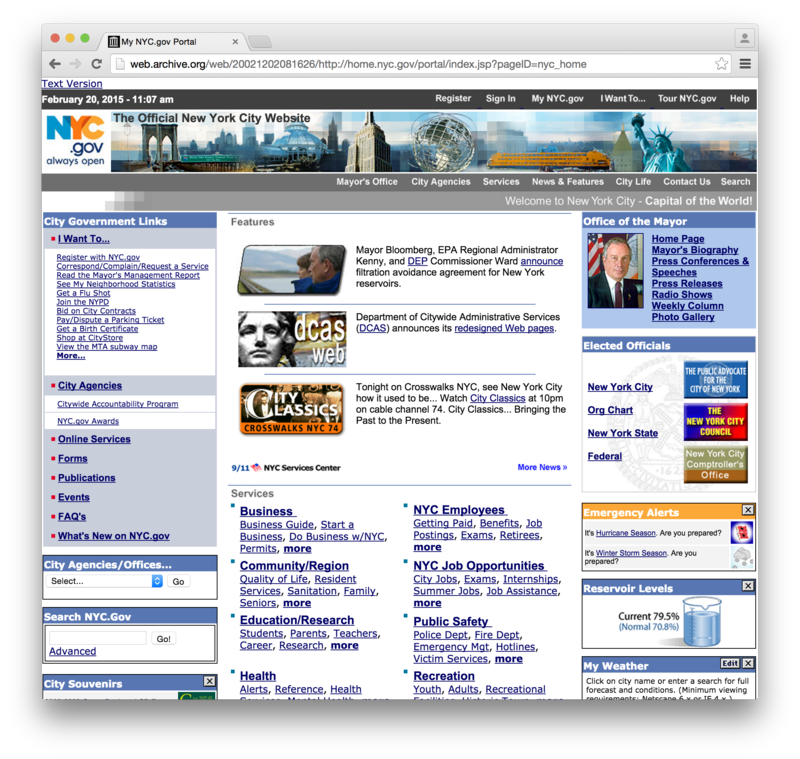 September 2005 saw the removal of the ‘responsiveness’ as it was in it’s current stage and shifted the page from central to the left, a stage of the design that actually seemed backwards to the previous versions. The colour has been simplified though and a lot of the flat colour areas have been made a light grey colour, something we would continue to see on the web even with todays modern design. 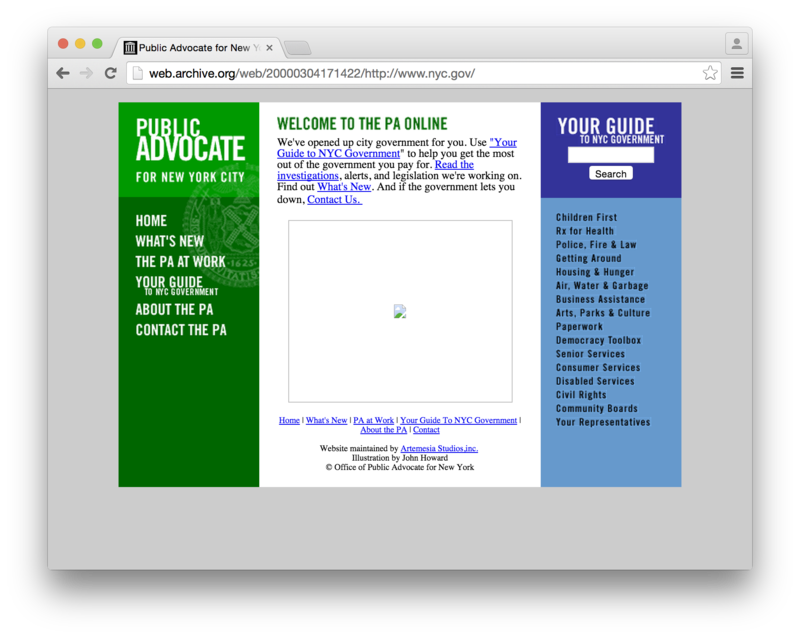 This design stays exactly the same with only changes of content for the next eight years until it is decided that the government just had to be redesigned. What’s fascinating about this is the fact that the iPhone revolutionised mobile web browsing back in 2009 when it was released yet it still took five years to decide it needed to be upgraded to be optimised for mobile. 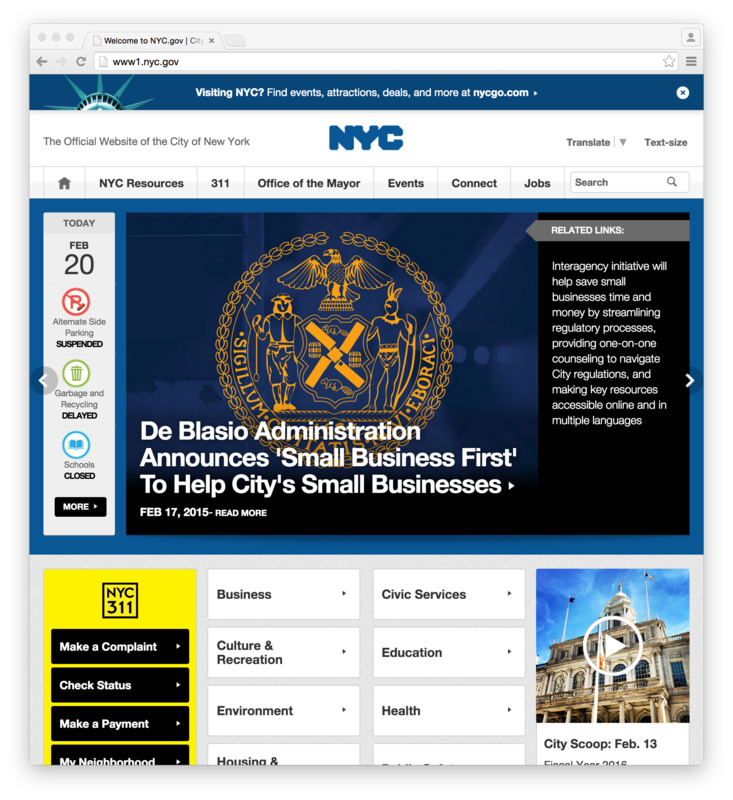 The new website has been completely stripped of all the text links on the site and been replaced with drop down menus that work on both desktop and mobile in the exact same way. 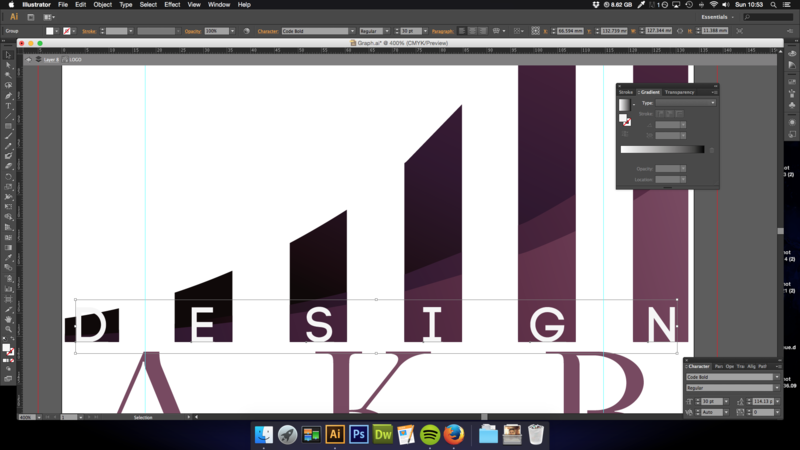 The flat colour has been added in the background to make it up to date with modern day fashion trends. 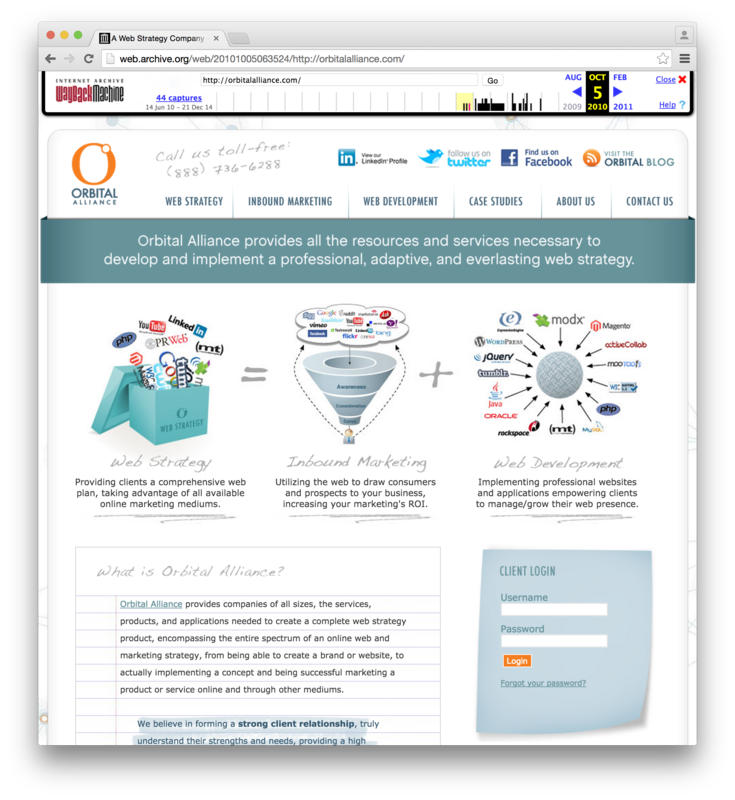 Orbital Alliance is another good example of great redesign. Back in 2010 it seems to have got a few things right, using subtle gradients to make content stand out more and a reasonably uncluttered layout. Moving forward to 2014 though, there has been a complete redesign of the site which brings it in line with modern design. 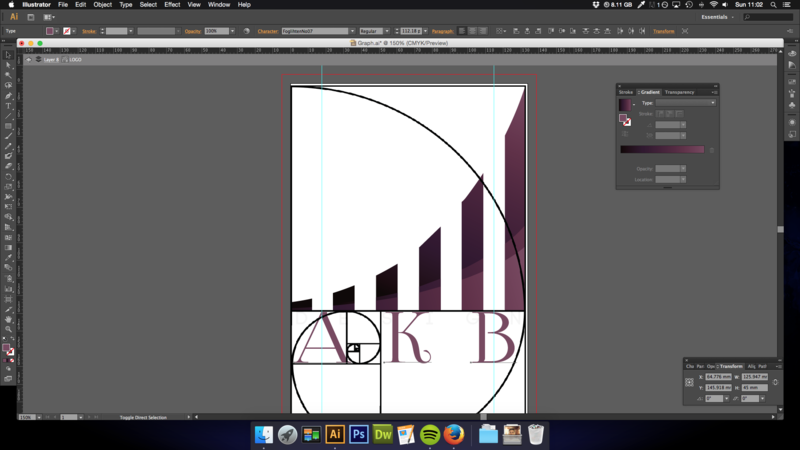 It has flat coloured images behind sections of white which move behind the sections. 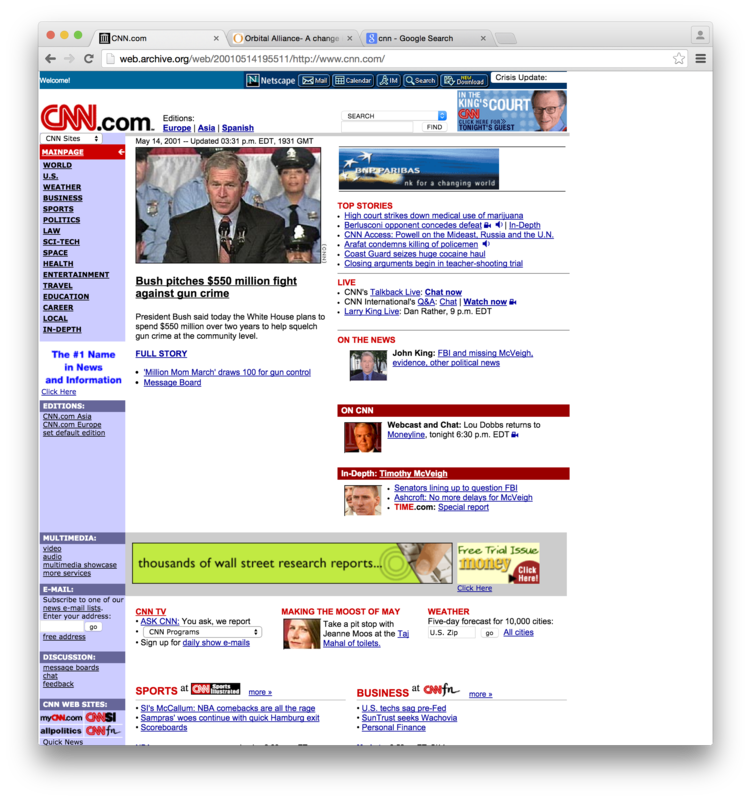 CNN is a brilliant example for the design as it’s initial design back in May 2001 is messy, cluttered and not responsive with no colour and text links. The new version is much much better, it has less but larger text, with images representing the stories but still uses drop down menus on the desktop to allow the user to access more content. 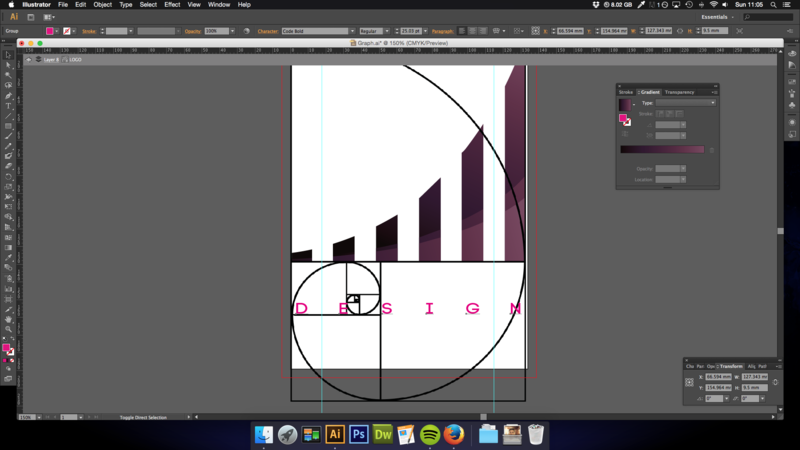 Column layout seems much more prominent in this design compared to the original, but it the images help emphasise this. Given Apple is at the forefront of design today and the worlds most valuable company, it’s difficult to imagine a time when they weren’t top dog. Back in April 1997 the design was as bad as the other designs around at that time. It featured one section of flat colour that held all of the text links and then a grid on the left to hold all of the content. 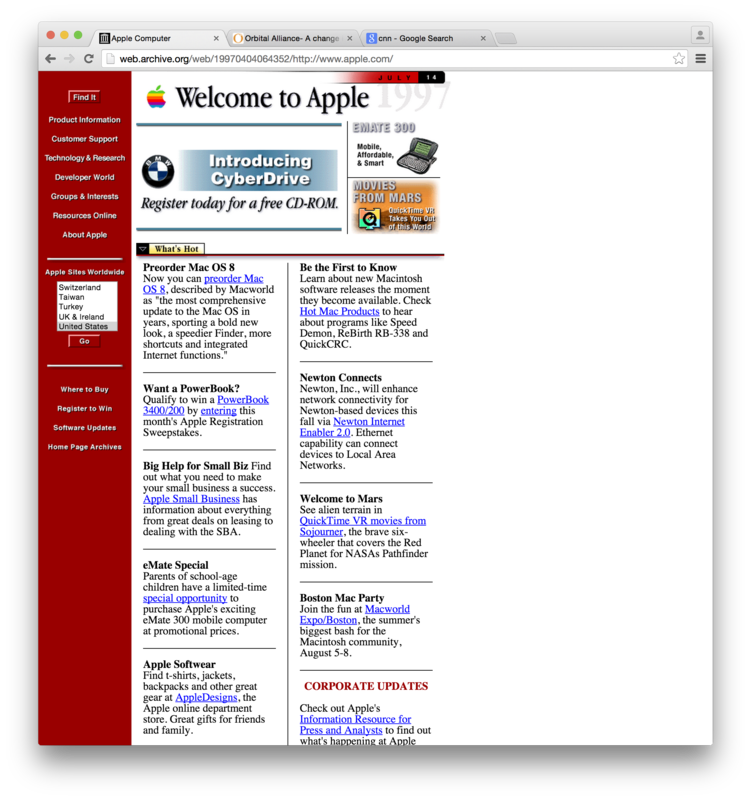 The site got a major update in may 1998 when it changed its layout that is consistent with the one still used today, using a pyramid layout. 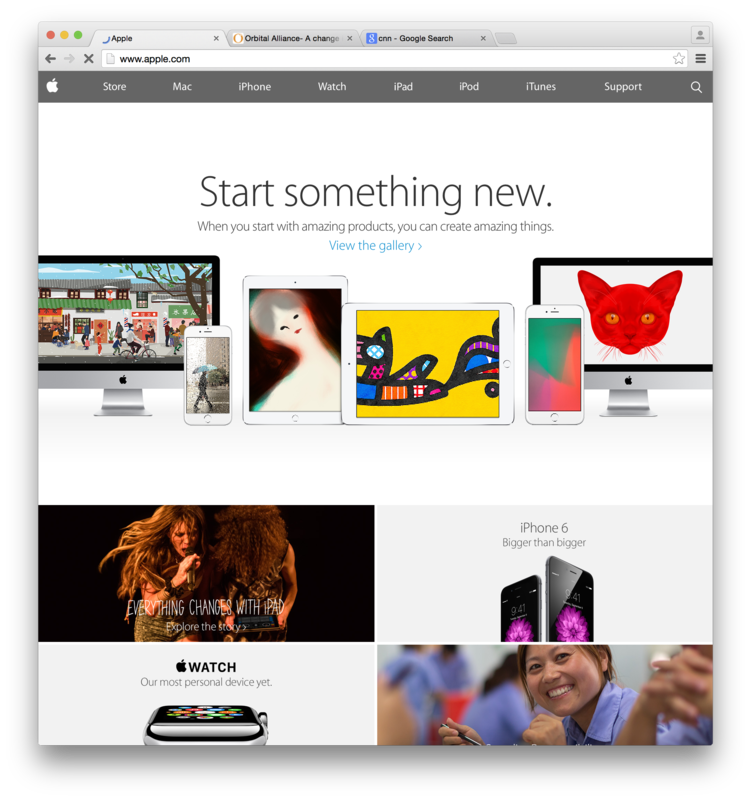 Something that I noticed about Apple’s site is that it uses a landing page tho greet the user to the user, this is something that is seldom seen in web design but is a small detail that can really make an impact on the user. 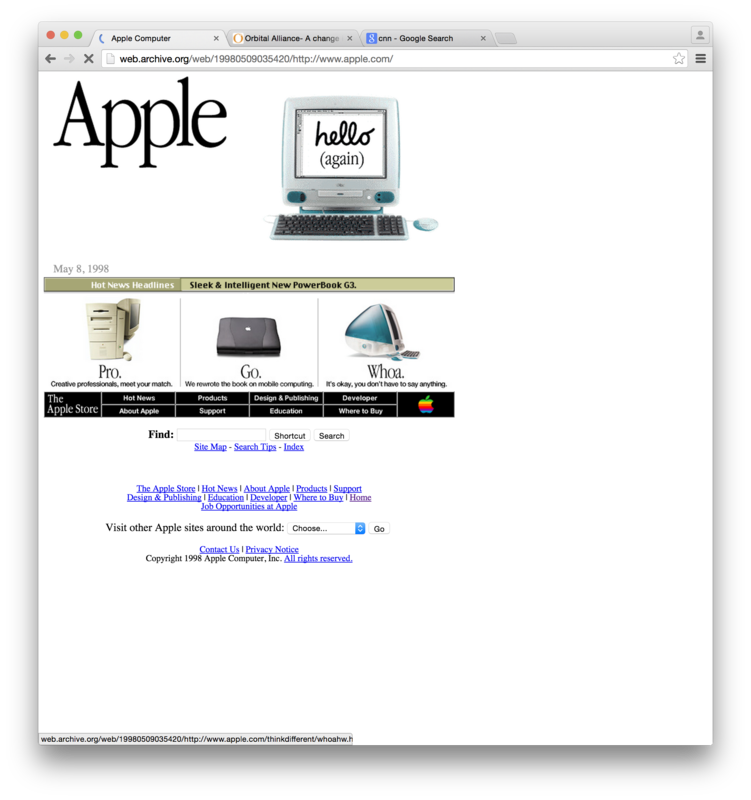 December 1998 saw the rise of Google as we know it today but only in beta form, it has remained in the same general layout. 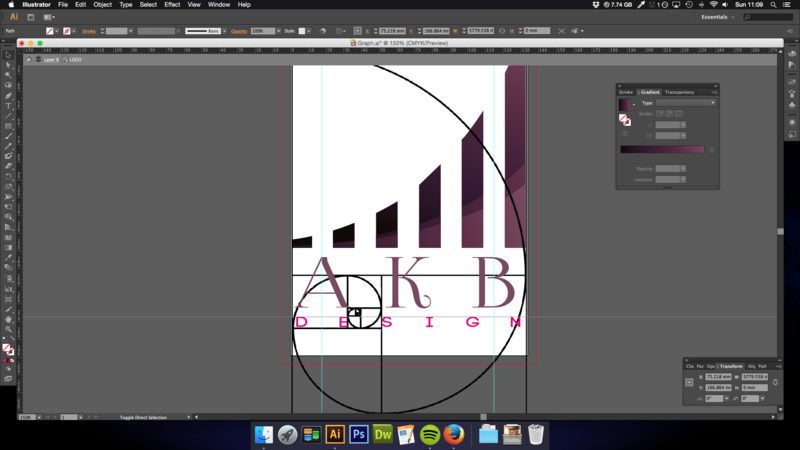 Originally it was a pyramid format just like Apple’s. In turn of the century, the pyramid layout went and simply left the search. In a sense this was completely different what everyone else was doing at the time with over complicated content filling the pages, and Google just kept it simple. 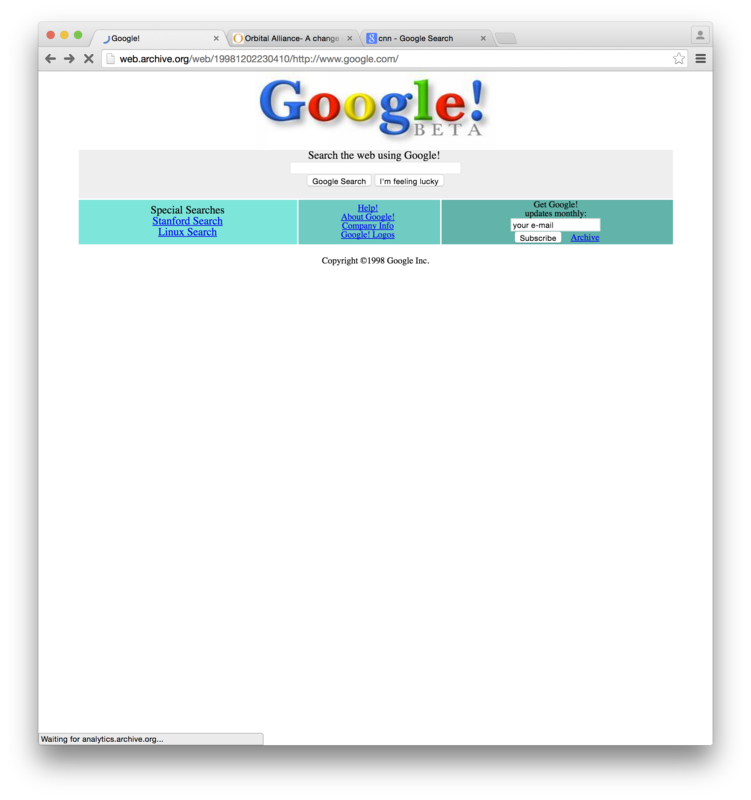 It is this simplicity that has made Google the biggest search engine on the internet.